Kerak Castle is a large crusader castle located in Kerak in Jordan. It is one of the largest crusader castles in the Levant. Construction of the castle began in the 1140s, under Pagan, Fulk of Jerusalem's butler. The Crusaders called it Crac des Moabites or "Karak in Moab", as it is frequently referred to in history books. Kerak should not be confused with Krak des Chevaliers. The castle extends over a southern spur of the plateau. It is a notable example of Crusader architecture, a mixture of European, Byzantine, and Arab designs. Its walls are strengthened with rectangular projecting towers and long stone vaulted galleries are lighted only by arrow slits. The castle has a deep moat that isolated it from the rest of the hill on the West. Such a moat is a typical feature of spur castles. The steep slopes of the spur are covered by a glacis. 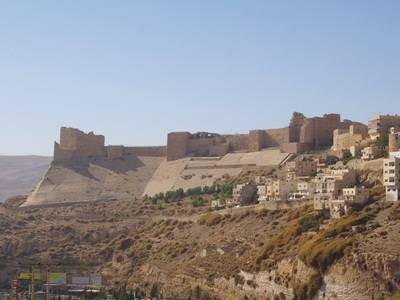 While Kerak is a large and strong castle, its design is less sophisticated than that of concentric crusader castles like Krak des Chevaliers, and its masonry is comparatively crude. In the lower court of the castle is the Karak Archaeological Museum, which was newly opened in 2004 after renovation work. It introduces local history and archaeology of Karak region – the land of Moab – from the prehistoric period until the Islamic era. 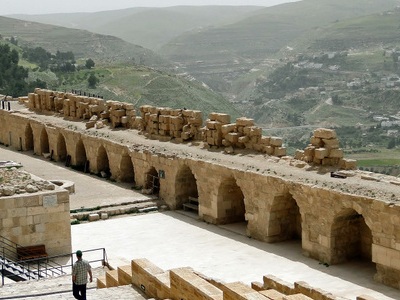 The history of Crusaders and Muslims at Karak Castle and town is introduced in detail. Here's the our members favorite photos of "Castles in Karak". Upload your photo of Kerak Castle! 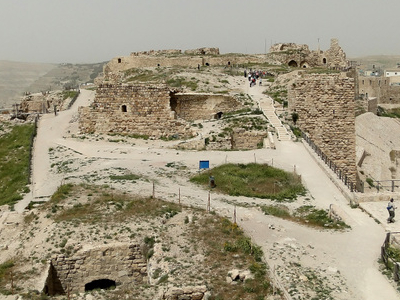 Get in touch with 1 Touristlink members who want to visit Kerak Castle or with Ildiko Kosa, Al-fairoz Services and 1 others who already have been here.